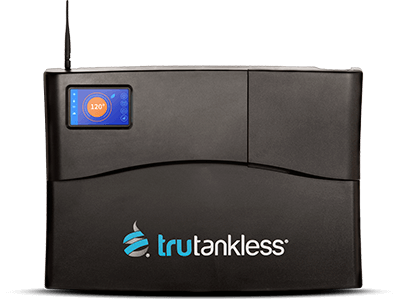 Trutankless, Inc. Reports Record Sales in 2018 – trutankless, Inc.
Revenue increases based on growing customer base in target markets. PHOENIX, April 11, 2019 /PRNewswire/ — Trutankless, Inc. (OTCQB: TKLS) released its earnings report for the 2018 fiscal year, announcing revenue of $1,573,958, vs. $695,857 in 2017. Sales in Q4 2018 were $407,160, compared to $306,354 in Q4 2017. The company attributes this continued growth to several factors, including strong demand for its trutankless line of smart water heaters amongst a growing number of the nation’s largest homebuilders, as well as the impact of growth in channel sales. Trutankless, Inc. (OTCQB: TKLS) is a technology-driven developer of accessible, next-generation home automation and efficiency systems. The Company’s primary products are a line of electric tankless water heaters that surpasses traditional tank water heaters in energy efficiency, output, dependability and environmental sustainability. The Company sells its products to plumbing wholesale distributors and dealers throughout the United States. Trutankless, Inc. was founded in 2008 and is headquartered in Scottsdale, Arizona.